You'll be £14.99 closer to your next £10.00 credit when you purchase Le Cateau. What's this? 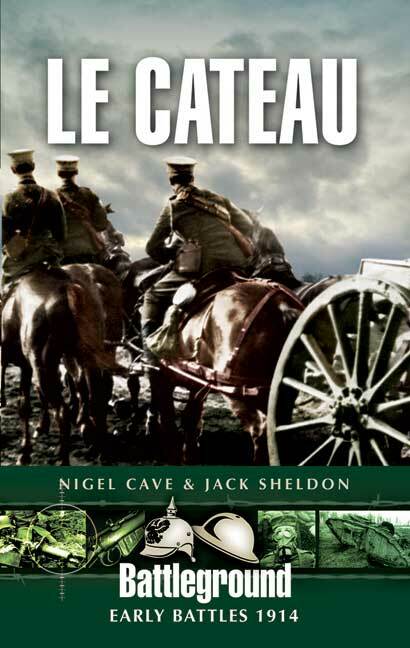 Le Cateau (26-27 August 1914) was the second major action fought by the BEF in the Great War. His men exhausted after fighting at Mons and by the subsequent speedy retreat, Lieutenant-General Horace Smith-Dorrien (commanding II Corps) decided that he had to make a stand in the vicinity of Le Cateau. There his men took on elements of four German corps in an action that succeeded in giving the BEF a respite, but at considerable cost. Amongst other elements of controversy in the conduct of the battle was the handling of the Royal Artillery. The battle also undermined the already fraught relationship between Smith-Dorrien and the BEF's commander, John French. The battlefield today remains largely as it was, open countryside, and it is an ideal location to view one of the most significant British battlefields of the early days of the war. In this action no less than five Victoria Crosses were won, three of them in one howitzer battery and two by men of the 2nd King's Own Yorkshire Light Infantry. As featured in the Yorkshire Post.